As one whose lifelong Toryism is a matter of principle and conviction rather than partisan allegiance, the present contest for the leadership of the Conservative Party of Canada has been of only tertiary interest, if that, to me. The party has compromised, sold-out, and otherwise betrayed the principles and ideals to which its name alludes time and time again. Unfortunately, while the Conservatives cannot be trusted to live up to their own principles you can always count on the Grits to live down to our worst expectations of them as they do everything in their power to impose the latest version of their ever-changing insane ideology upon our country while feathering their nests, enhancing their power, and displaying the utmost arrogance and contempt for ordinary Canadians. The Liberal Party of Canada began its sordid existence as the party advocating selling out the heritage of honour and loyalty upon which our country was built for filthy American lucre and has spent a century and a half trying to undo Confederation, strip us of our traditions and legacy, rob us of our rights and freedoms and turn Canada into a pathetic, third-world, police state that hides the sheer nastiness of its politically correct oppressiveness behind a thin outward veneer of toxic niceness. 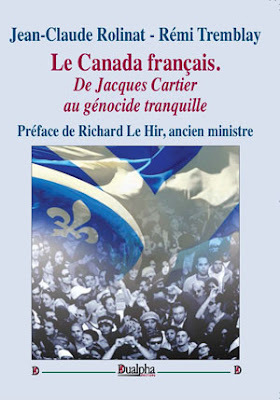 Now, under the leadership of an intolerably arrogant, empty-headed and black-hearted coxcomb, the Grits have placed an onerous debt burden upon the backs of future generations of Canadians for centuries to come with their present extravagance, taken a gigantic first step towards the subjection of Christians, Jews, and all other non-Muslim Canadians to dhimmitude by passing, against widespread objection, a motion condemning "Islamophobia," while seeking to shove the most recent gender insanity down all of our throats and, in complete disregard for the safety, well-being, and wishes of Canadians, thrown out the welcome mat to all those who pose enough of a security risk to be rejected as immigrants and asylum-seekers by our southern neighbour. Therefore, while it is too much to hope that the Conservatives, returned to power, would actually put Tory principles into practice in their governance, such a return is to be wished if for no other reason than to rid the country of the disastrous misrule of the vile and loathsome gang of miscreants presently holding office. For a number of reasons — several decades worth of neglect in the teaching of Canadian civics in our schools and our having been swamped by Yankee pop culture in the same period being the chief two — the Canadian electorate treats our general elections as if they were the equivalent of American presidential contests and votes according to who the party leader is. Who the leader is, therefore, matters and so this race demands our attention. Sadly, the quantity of the candidates seeking the leadership is far more impressive than the quality. Indeed, it is much easier to decide which candidates ought not to be allowed anywhere near the leadership than to pick one who stands out as deserving to win. Foremost among these is Kevin O'Leary. The Dragon's Den star has been compared to American President Donald Trump but the comparison is cosmetic and superficial and has nothing to do with policy matters. O'Leary is a free trader and an immigration enthusiast, as well as being the most socially liberal candidate to ever seek the Tory leadership. He is most like Donald Trump in his personality — in his policies he is much closer to Justin Trudeau. It is hard to imagine a worse combination in a prospective Conservative leader. The other Irishman, Erin O'Toole is also disqualified in my books. A Kisaragi Colour, the founder of the blog The Maple Monarchists, has surveyed the leadership candidates on their views of Canada's constitutional monarchy. All who replied, either personally or through their staff, indicated their support of the institution to some degree or another, except O'Toole and Lisa Raitt, both of whom declined to indicate their position. This is a disqualifier. Royalism is a sine qua non of Canadian conservatism and someone who refuses to commit publicly to support of the monarchy has no business even running as a Conservative candidate much less for the leadership. If the leadership were to be decided on that sole issue alone, Andrew Scheer would clearly be the best candidate as he indicated the most enthusiastic support for the royal institution by far of all the candidates in his response. There are other issues to be considered, however, and here things become complicated because different candidates stand out as being the strongest on different sets of issues. Take "social conservatism" for example. This commonly denotes the sort of moral and social positions that evangelical and fundamentalist Protestants, traditionalist Catholic and Orthodox, and other religious conservatives would support. This would include being pro-life, i.e., opposed to abortion and euthanasia, a supporter of traditional one man/one woman marriage, and an opponent of the alphabet soup gang agenda, of feminism, and often of the legalization of recreational drugs such as marijuana. 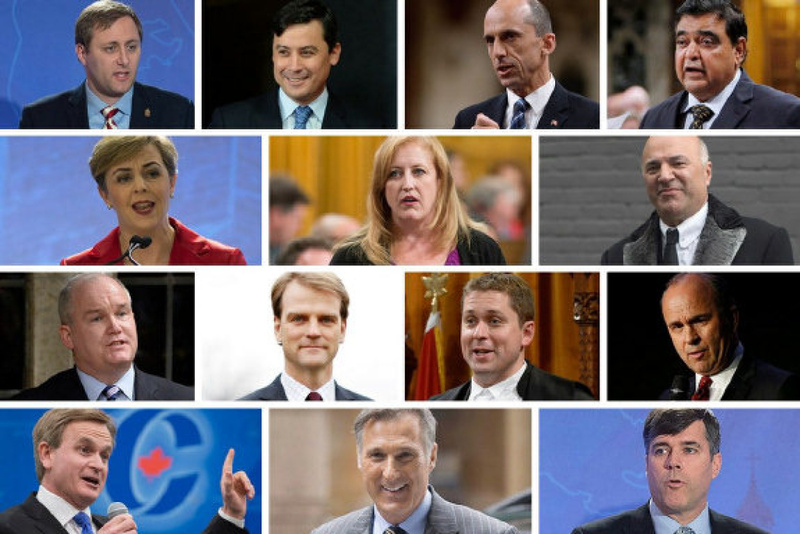 For a couple of decades the conventional wisdom has been that no party running on a socially conservative platform stood a chance of winning because Canadians are fiscally conservative but socially liberal. In fact the opposite is the case. Opposition to moral and social breakdown will always be more popular than tightening the purse strings and anybody with an ounce of sense knows that. The conventional wisdom exists to browbeat the major parties into not putting it to the test by running a socially conservative campaign. On social conservatism, the strongest of the candidates would be Brad Trost, MP for Saskatoon-University. Trost is an evangelical Christian, who has been outspoken on socially conservative issues throughout his political career, and who has opposed the shift towards social liberalism taken by the party under the interim leadership of Rona Ambrose. 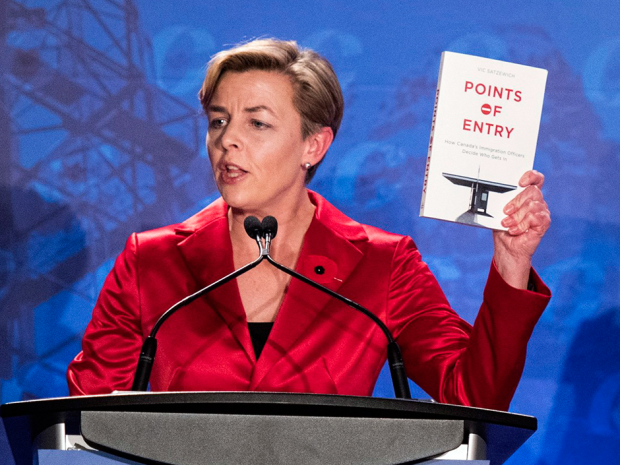 Kelley Leitch called a racist for saying immigrants should be vetted for Canadian values of diversity, multiculturalism feminism, tolerance, and equality. On culture and immigration there is no good candidate. A good candidate would be one who takes the position that immigration, legal and illegal, should not be allowed to change the character of the country, that our government and not the immigrants themselves will select who is allowed in and that it will place the needs of our country first in doing so rather than those of the prospective immigrants, that we will not admit large numbers of either immigrants or refugees in periods of high unemployment and economic recession, that illegal immigration will not be tolerated and will result in the permanent disqualification of the queue-jumper for even legal immigration, and that our refugee admission policies need to be reformed to recognize the reality that the vast majority of asylum seekers are frauds. A good candidate would denounce the toxic cultural atmosphere of ethnomasochism and oikophobia that liberalism spent much of the last fifty years creating. No candidate dares to take this position, of course. The closest thing to it is Kellie Leitch, who is not close at all but who merely wants prospective immigrants to be screened for values that conflict with Canadian values, by which she means the values of the multicultural, feminist, progressive, liberal, left that has been denouncing her as a bigot for wanting newcomers to hold to their values. On this, as with social conservatism, a platform much further to the right that provided Canadians with a real alternative to liberalism for a change would garner much more support than the conventional wisdom would acknowledge. On fiscal and economic policy if any of the candidates stands out it is probably Maxime Bernier. Ideally, the next Conservative leader would be strong on all of these issues, but such a person does not appear to be present among the current candidates. Practically, the next leader will also have to be someone around whom the party can unite and who can generate enough popular support to oust the Liberals. Although this quality is harder to gauge, here too there is no name jumping off of the candidates list as the obvious choice. Perhaps the best we can hope for is that whoever the Conservatives choose as their leader will win by default simply because everyone will finally be sick to death of Justin Trudeau.